What would be the third and the fifth of a Major chord starting on F? 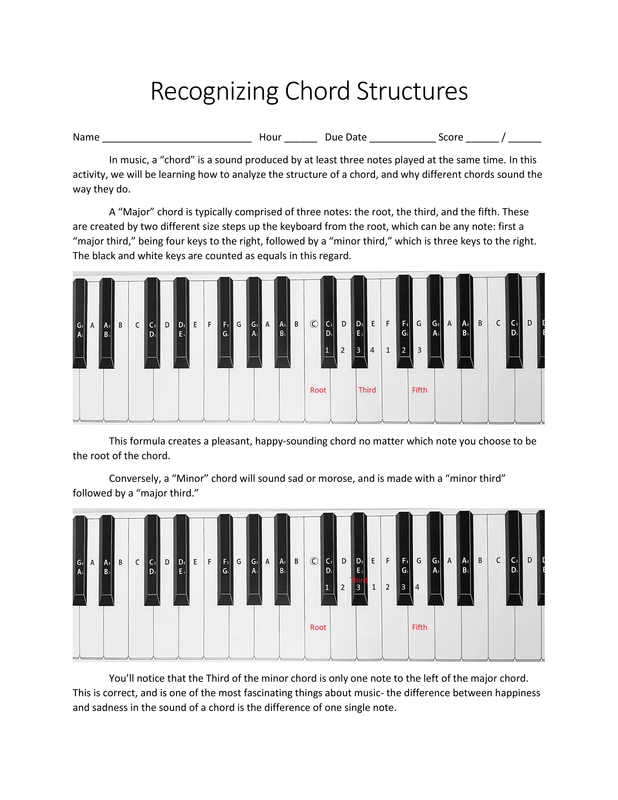 Is a chord made up of the notes A, C and E major or minor? Find the fifth of a chord with a root of Bb. 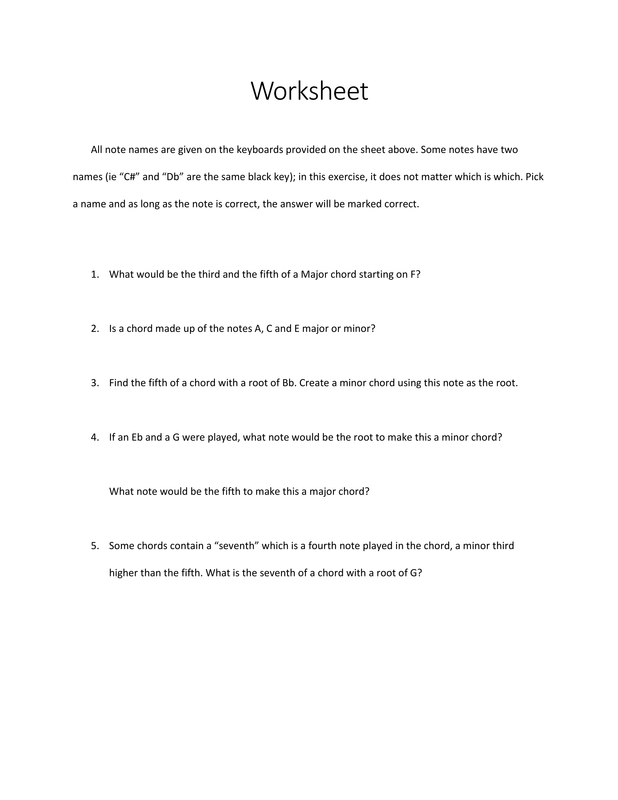 Create a minor chord using this note as the root. If an Eb and a G were played, what note would be the root to make this a minor chord? What note would be the fifth to make this a major chord? Some chords contain a "seventh" which is a fourth note played in the chord, a minor third higher than the fifth. What is the seventh of a chord with a root of G? The minor third of a chord with a root of E is G.
Select all notes that would be in a major chord starting on F#, including the seventh (a minor third above the fifth).